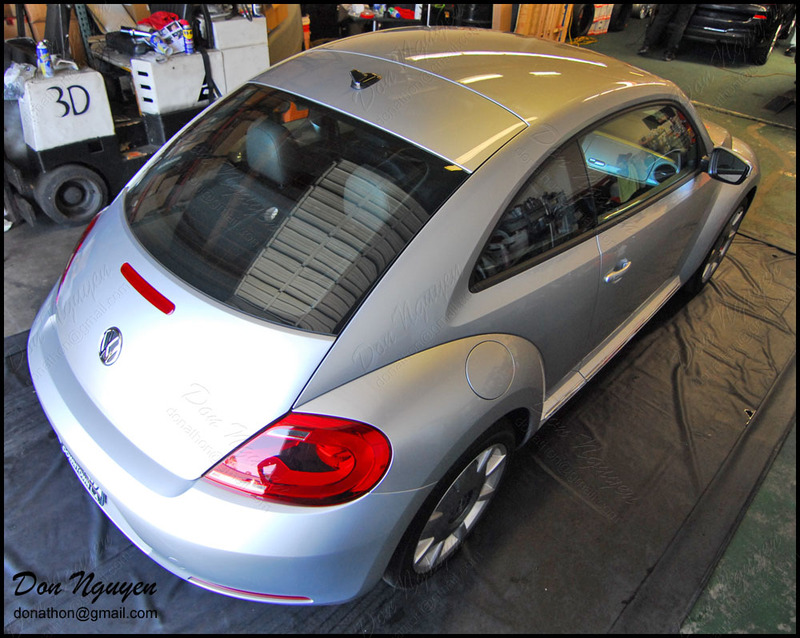 The owner of this new body silver VW Bug came by to have me vinyl wrap the roof of his car with my gloss black material. He drove out from Los Angeles to me in Orange County / Anaheim Hills to get the work done. 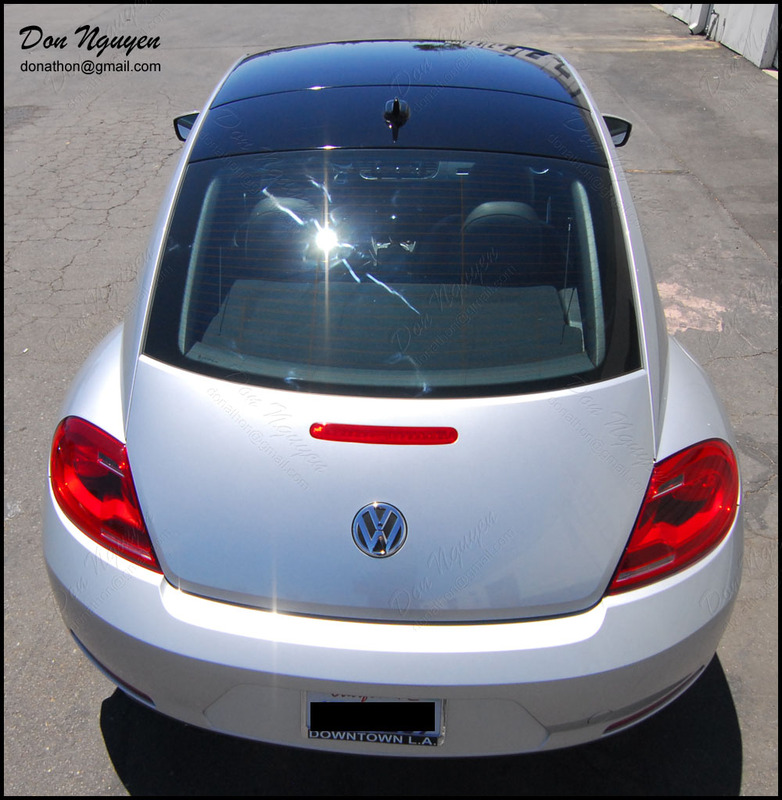 Unlike most roofs, the roof of this VW Bug had two separate sections that had to be wrapped. 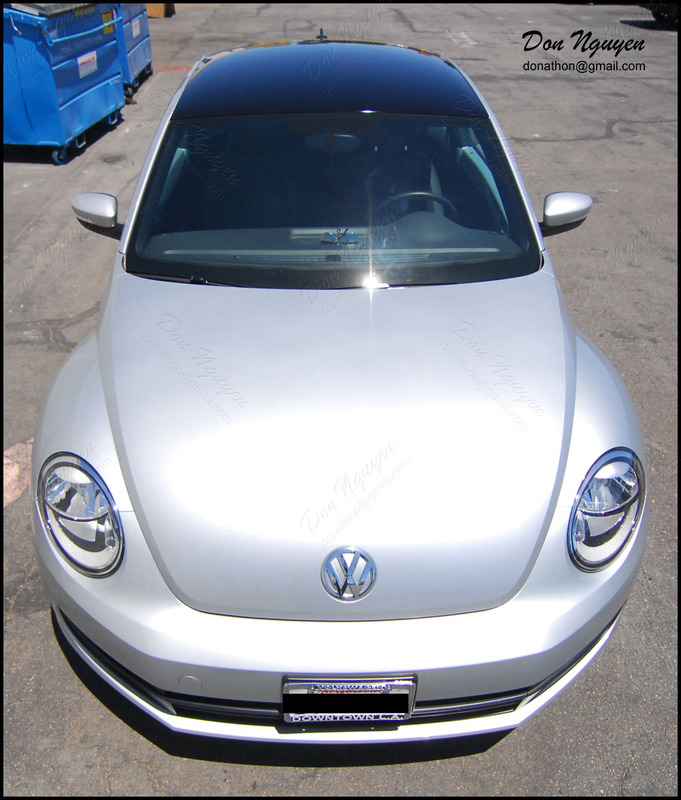 Overall, I think the black roof really made this rather normal/regular looking VW Bug a bit sportier.